Featherweight champion Max Holloway was supposed to defend his title against Undefeated Brian Ortega at UFC 226 but was forced to pull out due to concussion-like symptoms. That left Ortega without dancing partner, but UFC offered him a short-notice fight, but Ortega turned it down saying he would wait for Holloway title fight. 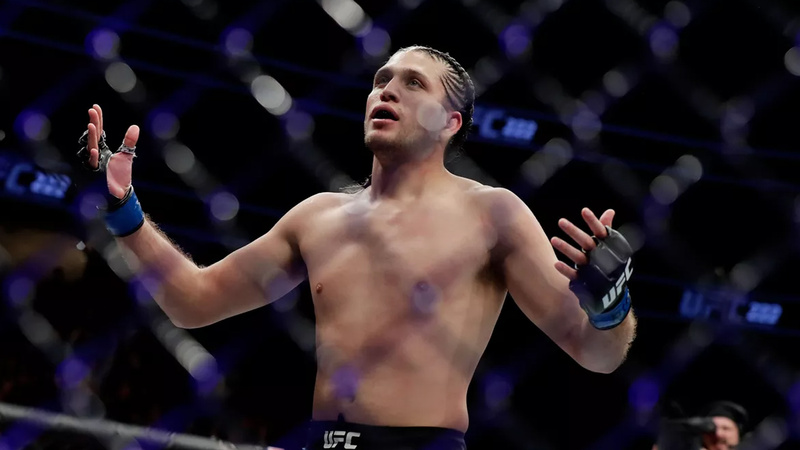 Ortega said he has no problem in stepping in on short notice fights occasionally, as he had fought three times on short notice and change of opponents in the past UFC fights, including Frankie Edgar when Max Holloway pulled out at UFC 222. T-City further added, he has done all his pre-fight efforts as far went to argue with White but he seems mad. Ortega wasn’t interested in the interim title fight that angry head boss more who wasn’t interested in anything but getting his way. “[Dana] put on his promoter hat and is like, ‘Listen man, just fight, we’ll work something out,’ and I was like, ‘We don’t need to work anything out. I want Max Holloway or I want the belt.’ [Dana says] ‘Well, we’ll see if we can do an interim belt.’ I’m not fighting for a fake belt. It looks cool but it’s not the real belt. There’s no real money involved with that one. Nothing really goes on in terms of being a champion. You just get something that says, ‘I’m first place.’ It just says I’m next in line for the belt but I’m already here! You just want to put something shiny around my waist to make me feel better. No, I’m not gonna do it. Ortega wants his shot at ‘Blessed, but with recent talk about Holloway’s illness that may put him out of Octagon for some time, so Ortega is willing to fight as early as UFC 227 – as long as it’s for a title.